Kaiser Permanente (KP) is a leader in the healthcare industry, including conserving energy. For over 20 years the company has worked to reduce energy use and costs — from energy-efficient lighting upgrades, to harnessing renewable and sustainable energy to help power its hospitals, medical offices and other buildings. Due to their green building efforts, Kaiser Permanente saves more than $10 million annually through energy conservation strategies. A leader in environmentally sustainable healthcare construction, KP has committed to significantly reducing use of fossil fuels and slowing energy growth over the next 10 years. The company will use sustainable design and construction practices to complete roughly 6.7 million square feet of new construction in the next seven years. Additionally, KP has eliminated the purchase and disposal of 40 tons of harmful chemicals. 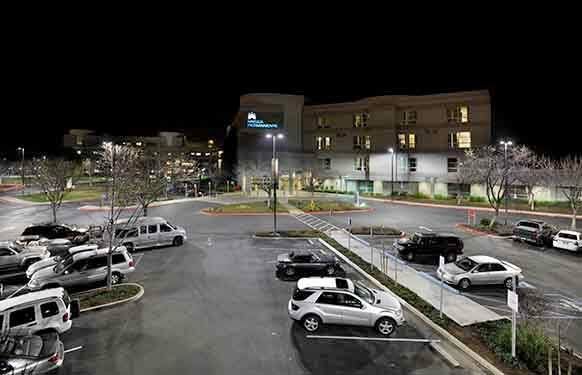 In 1990, the Medical Center installed high intensity discharge (HID) lighting fixtures at an adjacent parking lot. Unfortunately, the 166 HID fixtures were very costly to maintain. 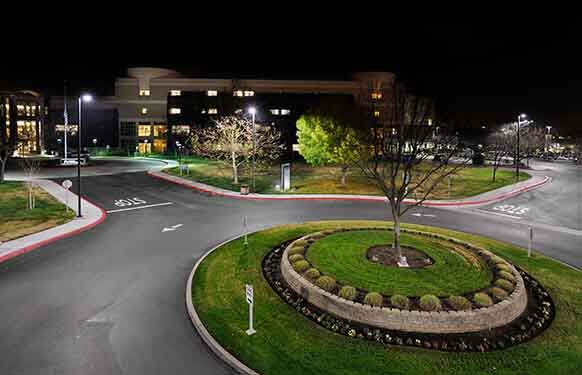 Because of the healthcare system’s ongoing commitment to sustainability and controlling operating costs, Kathy Boswell, National Facilities Services (NFS) Staff Project Manager and the Center’s Chief Engineer, Bill Lyons, knew it was time for a change in exterior lighting technology. Lyons and Boswell looked into LED luminaires, having read about their tremendous energy savings potential and the opportunity to virtually eliminate maintenance-related expenses. Additionally, they wanted to improve the parking lot’s illumination levels and uniformity of light distribution, making it easier for staff and visitors to see. 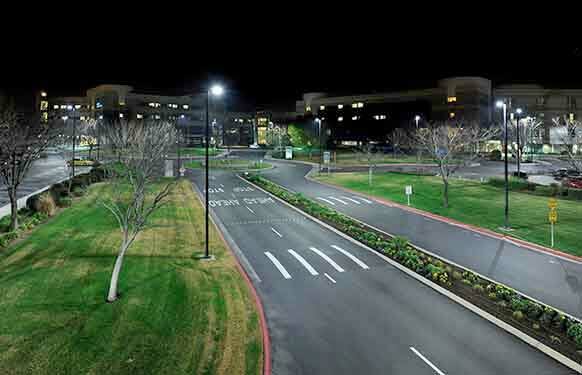 Boswell and Lyons selected Cree® Edge™ area luminaires to install in the Fresno facility roadways and parking lot. The KP team is pleased with the anticipated annual energy savings of approximately 57 percent over the previous HID system, saving approximately $20,000 each year in energy costs and realizing a five-year payback.